It is always nice to see an illustrious golf facility brought back into top form. There are precious few golfing options north of the San Francisco’s Golden Gate Bridge and the semi-private and historic Silverado Resort & Spa had long been the premier stay-and-play attraction in the famed Napa Valley. 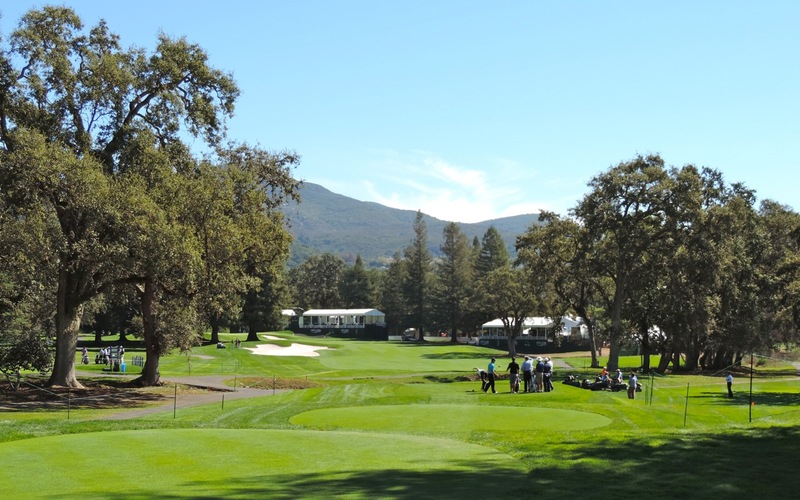 Speaking of history, Silverado not only caters to the golfers and wine and food aficianados, but it was once the home to a civil war general and California senator, John F. Miller. Now it resumes its history in hosting the generals of golf – the first event for the 2015 PGA TOUR season and is owned in part by multi-millionaire golfer Johnny Miller. Silverado boasts two of Robert Trent Jones Jr.’s first courses and enjoys notoriety for its history of hosting men’s events – the Kaiser International and Anheuser-Busch Golf Classic – from 1968 to 1980, and a Seniors Tour (now Champions Tour) event, the Transamerica, from 1989 to 2002. Jack Nicklaus, Arnold Palmer, Tom Watson, Lee Trevino, Billy Casper, Ben Crenshaw, Miller Barber, and Silverado’s favorite golfing son, Johnny Miller all won there. In fact, the entire purse for the 1968 inaugural event courtesy of Kaiser Steel was $50,000. Candidly, absentee ownership and incompetent on-site management that withheld lucrative purchase offers from its Japanese patriarch for apparent fear of losing their jobs had caused the property to fall into a state of sad disrepair and steep operating losses. Despite its affluent address, the condition of not only the two courses, but the entire facility had seriously deteriorated. Finally a third party was brought in to facilitate a sale. Enter local golfing legend, professional golfer and TV analyst Johnny Miller. Miller who for a considerable time raised his family just off the 11th hole of the North Course, along with two other major partners, John Kent, and Tim Wall finally purchased the property in 2010 for a mere fraction of the offer(s) that just a few years earlier had tried to be made to the Japanese owner, but withheld by its American manager. (I was one of the earlier agents.) The challenge then, however, was that Silverado’s 1,200 acres needed a complete renovation that included its conference center, clubhouse, pools, 330 guest rooms, etc. 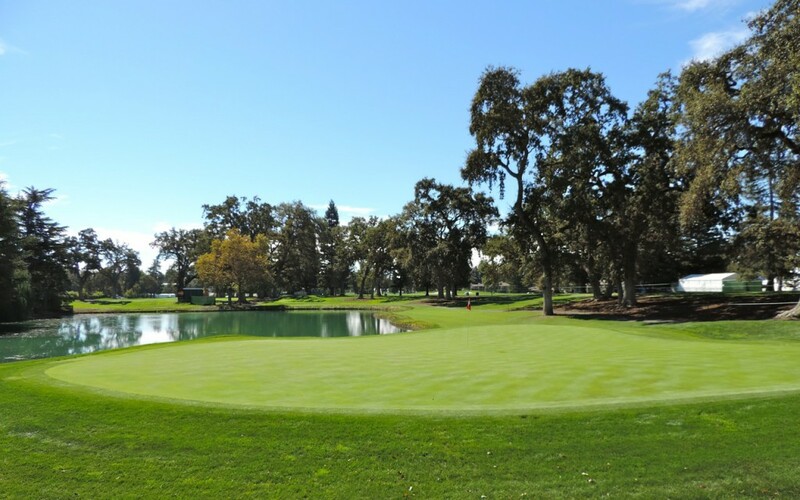 While until recently the South Course was considered the primary golf attraction, Johnny Miller focused most of his attention on renovating the North Course, now site for the 2014 Frys.com Open. Miller left the original Jones routing intact, but spiced up the bunkering and greensites, and lengthened the course. While the current scorecard lists the back tees at a fairly docile 6,793 yards, the course the pros will play will play between 7,100 and 7,220 yards as Miller squeezed out about all he could from property that features many north-and-south oriented holes that mostly play flat. The brilliant white sand really does show off the holes quite magnificently though with firm, fast conditions and good weather, I predict a birdie-fest. At even the long par-fours, many of today’s powerful strikers will be teeing off with less than drivers. 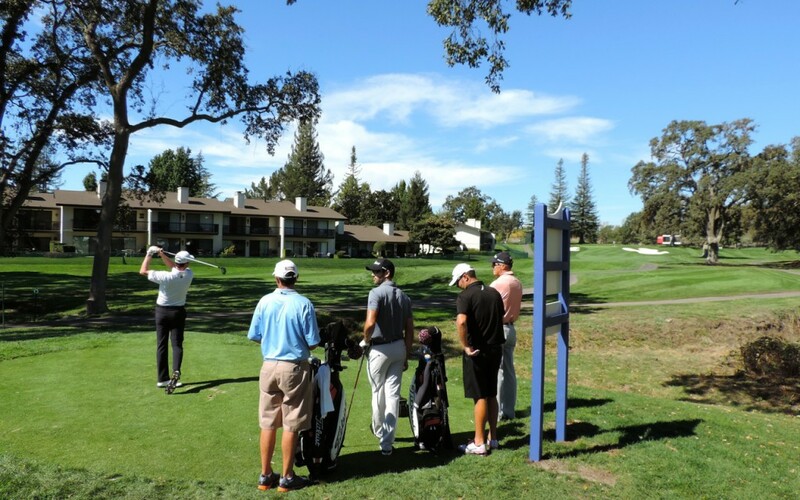 Silverado’s North Course has a little of the playing look and feel of San Francisco’s Harding Park to the south. Though the vegetation is different, fairly flat, relatively narrow treelined fairways to small well-protected putting surfaces define the traditional parkland challenge. 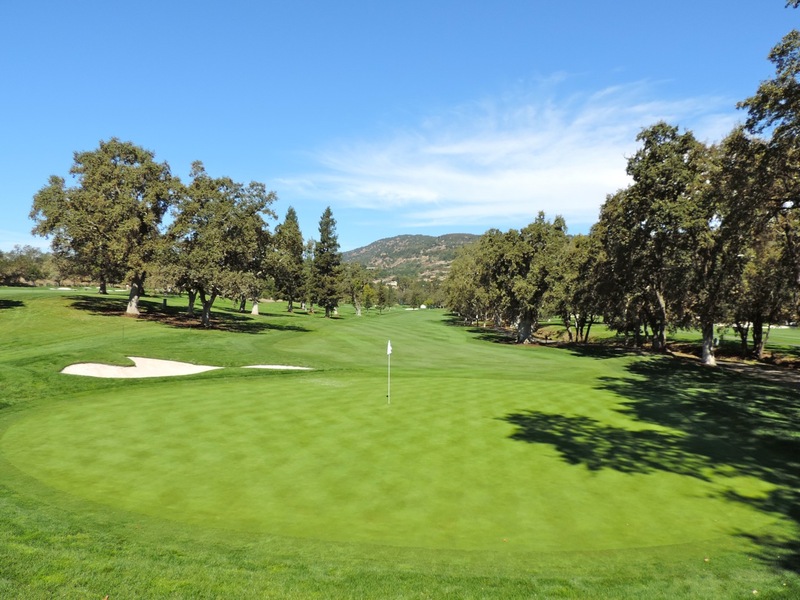 While firm putting surfaces will require accurate approaches, their immaculate conditioning should yield lots of birdies – a credit to Silverado that after all is a member and resort guest-supported resort facility 51 other weeks a year. 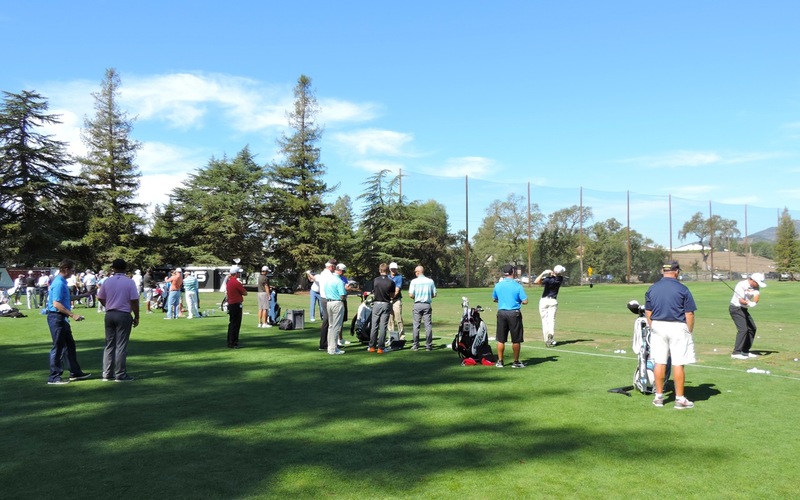 Until last year, the Frys.com Open languished in the role of a late-season Fall Series tournament, one of four events, played after the conclusion of the FedEx Cup Tour Championship series. It typically drew players low on the money list, both veterans and newcomers, who were looking to bolster their dollar count and strengthen their position for the next season. A change in Tour scheduling making it the inaugural new season’s event raised the tournament’s profile as witnessed by Jimmy Walker’s first win and one of three early ones virtually assuring him of Ryder Cup and FedEx Cup appearances., The tournament’s winner will also earn an invitation to The Masters. Secondly, the TOUR mandated that several elite players who skipped last year’s Frys for a guaranteed-money event in Turkey will be required to play the Frys.com Open sometime in the next three years. 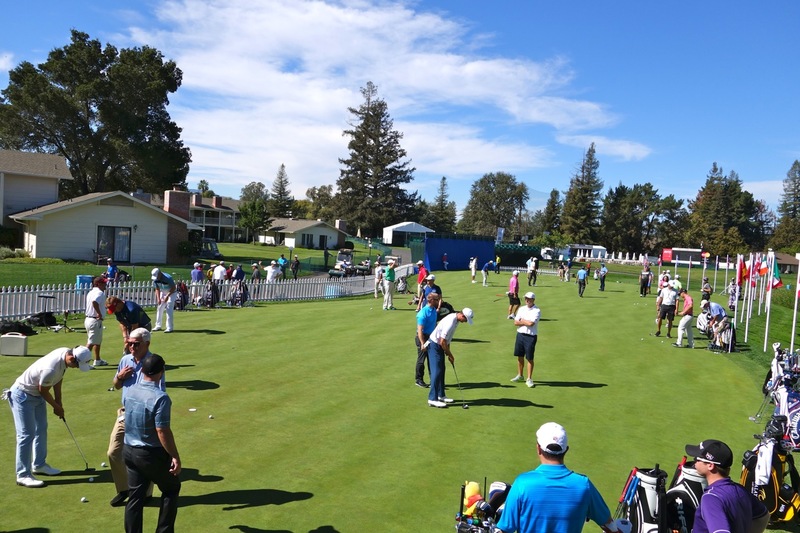 As a result, you can expect to see players like Lee Westwood, Matt Kuchar, Brandt Snedeker, Hunter Mahan, Davis Love III, Vijay Singh, Patrick Reed, and Jimmy Walker compete in this $6 million event with a $1.080,00 first-place prize. The Golf Channel will also show four days of action. Finally, here are a few fun facts about Silverado. Silverado shares the distinction with the Olympic Club as being the home to the “Burger Dog.” This is a savory rectangular-shaped burger that fits into a hot dog role and originated at the Olympic Club (imitated, but not equalled), but whose third-party operator has been serving these specialties at Silverado as well for more than forty years. And Silverado was the site where Tiger Woods almost lost his college NCAA eligibility when Arnold Palmer bought him dinner in the Club’s Royal Oak Restaurant. The NCAA ruled that Woods had to send a check for $25 back to Palmer for reimbursement to keep his status – maybe the only time that Woods has ever bought himself a meal at a golf course. And their waiter who served them still works there in 2014. Yes, the Silverado Resort and Spa is back in stride, fully polished, and once again ready to showcase the beautiful Napa Valley! Bob Fagan features one of the most interesting backgrounds in travel and golf. Not only it is likely that Bob has played more American golf courses than any living person, he has been an accomplished player and instructor, holds a Ph.D. in Counseling, has been an innovative golf and life coach, PGA Section Executive Director, golf company executive, “Expert Golf Witness,” and, of course, a highly acclaimed travel and golf writer.